Whatever your passion, we’ve got the program to get you going in the right direction. 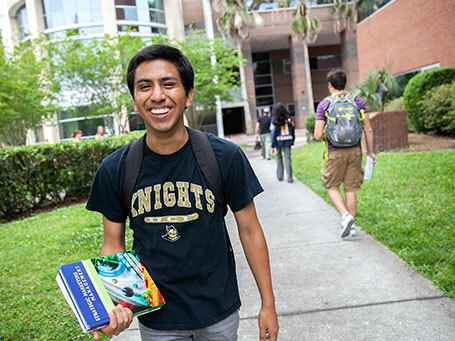 UCF is home to 13 colleges that offer over 200 majors. Read more about our colleges, and find out more about the undergraduate and graduate degrees that are offered by each, below. The College of Arts and Humanities provides a dynamic incubator for artistic explorations of every kind, from literature to philosophy, fine arts to digital media and theater to music. You’ll explore your boundaries in state-of-the-art facilities, develop your talents under the guidance of faculty who practice what they teach, and learn real-world lessons through cooperative community partnerships. The Burnett Honors College is dedicated to inspiring the highest academic achievement through exclusive research programs, seminars, symposiums and study-abroad opportunities that offer formative experiences beyond the classroom. You’ll join a collaborative community of scholars from all disciplines and benefit from small classes that allow for more discussion and greater interaction with honors faculty. The College of Business trains students to adapt and succeed in a rapidly changing economy by embracing an entrepreneurial attitude toward education. You’ll specialize in accounting, economics, finance, management, marketing, real estate or integrated business, and supplement traditional classroom experiences with real-world learning opportunities. You can also participate in internships, study-abroad programs, corporate partnerships, business plan competitions and new venture incubators such as the UCF Blackstone LaunchPad. To thrive, communities need highly trained professionals dedicated to creating innovative opportunities for civic engagement and transformative education. Thanks to public and private partnerships, students participate in ground-breaking research and gain practical experience through internships, practicums and policy-development programs led by world-renowned faculty. And graduates create big impact on the people they serve with rewarding careers in education, public administration and affairs, legal studies, criminal justice or health management and informatics. The College of Engineering & Computer Science will challenge you to think creatively as you conduct innovative research in aerospace, civil, computer, electrical, mechanical, environmental and other engineering disciplines. Creating 3-D printed robotic arms, designing a self-driving car or developing artificial intelligence are just a few of the projects you might work on. You can also gain practical experience through internships in our adjacent Central Florida Research Park, as well as with industry partners including Siemens, Lockheed Martin and Harris Corporation. Graduate school is the time to push yourself to new possibilities. UCF offers more than 100 graduate degree programs that are your chance to make important discoveries, master cutting-edge skills and advance both your knowledge and your career. With a master’s or doctoral degree from UCF, you’ll amplify your impact on the world in a big way. Health care systems worldwide require well-educated professionals to develop innovative approaches to promote the health and well-being of populations with diverse needs. Through our nationally recognized programs, students develop in-demand skills through practical experiences and research led by respected faculty. And graduates play important roles with rewarding careers in prevention, diagnosis or therapy at hospitals, community-based and specialized-care facilities, schools, and nonprofit and social service agencies. History-making. Groundbreaking. A national model for medical education. These are just a few of the things people across the nation are saying about the college. The Burnett School of Biomedical Sciences is nationally known for its innovative research in fields from Alzheimer’s disease to cancer and heart disease. And our modern southeast Orlando complex is the anchor of Lake Nona Medical City, where our students benefit from neighbors such as the Nemours Children’s Hospital and the Orlando VA Medical Center. The College of Optics & Photonics is the place to pioneer the science and technology of lights, lasers, fiber optics, imaging systems and other areas of study. You’ll embark on groundbreaking research under the guidance of internationally recognized faculty, and leverage key industry partnerships to gain practical experience that will translate into a career at the forefront of this fast-moving field. 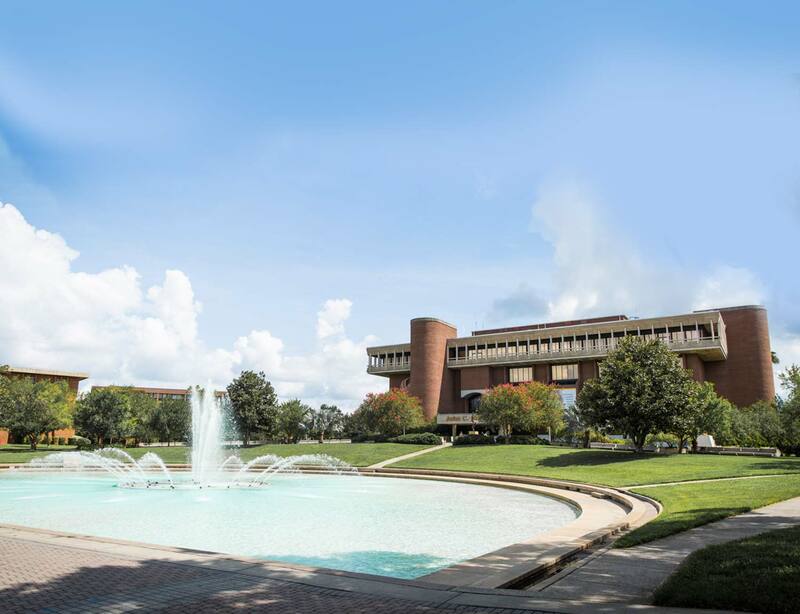 The Rosen College of Hospitality Management is strategically located near the heart of one of the world’s largest and most popular tourism destinations. At our campus near International Drive, you’ll learn to manage hotels, restaurants, theme parks, entertainment and events from international faculty, gain exclusive industry exposure through paid work experiences, and develop important professional relationships with key local hospitality partners. The College of Undergraduate Studies offers the ability to tailor your program of study to suit your individual academic and career goals. This flexibility lets you choose your own path in environmental studies, women’s studies or interdisciplinary studies. For students pursuing degrees in science, technology, engineering or mathematics, the college administers the National Science Foundation-funded EXCEL program to increase success in the freshman and sophomore science and mathematics courses as well as facilitate experiential learning, undergraduate research and advising.